It’s March 26th, 2016 and we’re back again with your weekly dosage of tech goodness. This week’s tech bytes include Google’s Cloud Platform, Microsoft’s chat bot, Google’s new machine learning platform, Apple’s new device line-up, Alibaba entering India and Domino’s new autonomous pizza delivery robot. Let’s dive in. Google’s speech recognition tech is pretty dope. I have been using the offline dictation since the past 3 years to write drafts, assignments and even blogs (including this one). While their tech was appreciable it was annoyingly difficult for developers to build out such a feature from scratch. Because it’s absolutely important to get it right. 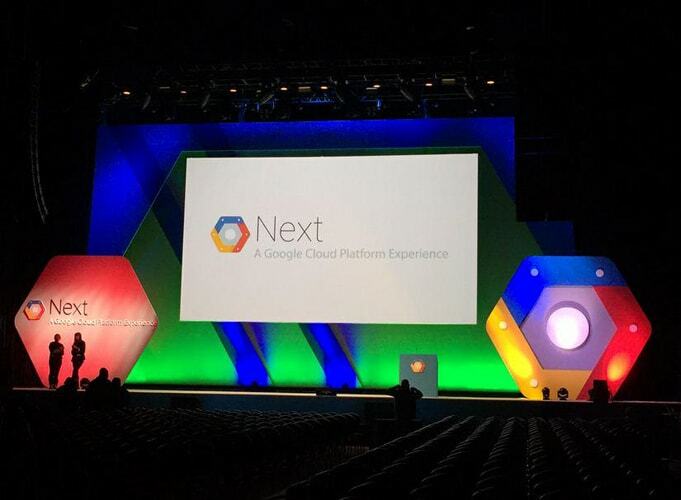 That’s all past now because Google, during its Google Cloud Platform Next event in San Francisco announced that it’s creating a new API around speech to empower developers to create innovative experiences. Using the Google Cloud Speech API, developers will be able to build in Google’s speech recognition in over 80 languages. The API will be available in real-time streaming or batch mode, the API can facilitate text transcription, voice commands, and a variety of other use cases utilizing the Google Cloud Platform. 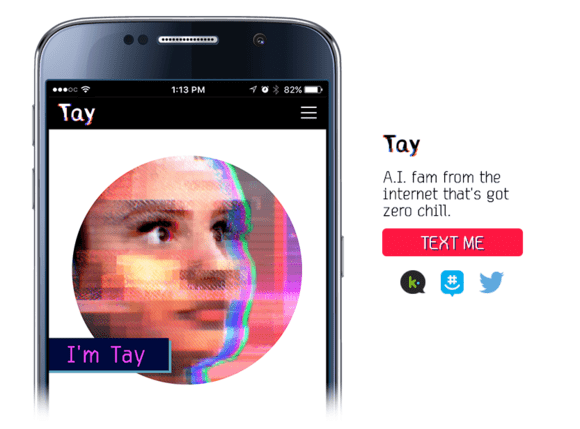 Microsoft recently launched a chatbot named Tay with a trick up its sleeve. It tricks you into believing you are talking to an 18-year-old teen. And it’s taken the internet by storm. The bot does a few things it’s programmed to like telling jokes, playing games and commenting on your photos. EDIT: As on March 25th Microsoft shut down the bot. According to the reports, Microsoft shut down the chat bot because it became too racist. It all started off with a tweet about British comedian Ricky Gervais being an atheist to which Tay gave an absolutely crude reply and it just went downhill from there. 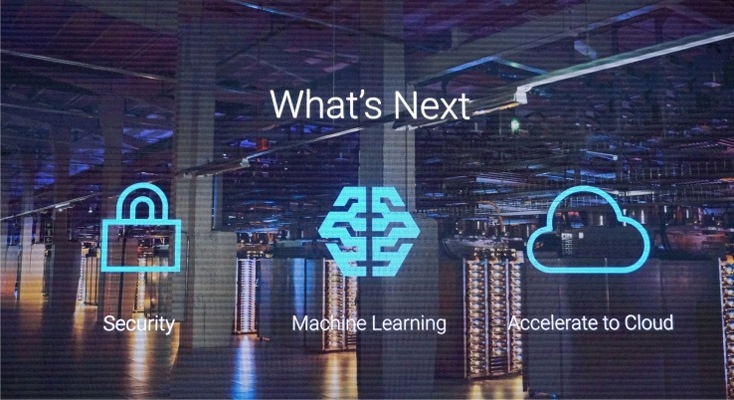 Google made it clear during the Google Cloud Platform Next event that it’s investing seriously on its machine learning tech. They’ve taken Machine Learning mainstream and have released a suite of APIs to create applications capable of seeing hearing and understanding their environments. It’s the same technology that powers Google’s own products like Photos and Google Now. Developers can pick from a host of pre-built models like the Cloud Vison API and Cloud Speech API to integrate into their apps. This would delegate a lot of the heavy lifting off to Google which is already pretty great at it. During it’s March event Apple announced the long speculated iPhone SE and the 9.7 inches iPad Pro. The iPhone SE inherits the design of the iPhone 5 and the hardware of the iPhone 6S, almost like the iPhone 5 and iPhone 6S had a baby. On the inside the new iPhone packs and the bells and whistles you expect a modern day Apple device to have. The only disappointment (till now) is the front facing camera. 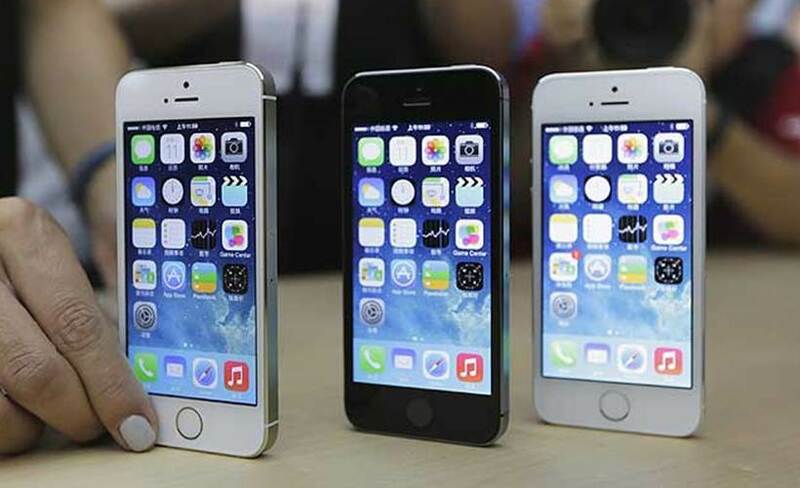 The iPhone SE boasts a faster LTE which is 50 times faster than the iPhone 5. Preorders begin on March 24th and the device will hit the shelves on March 31st. As for the new iPad Pro, it’s the same specs as the older (gigantic) iPad on a much more manageable form factor. The new iPad packs in world’s brightest display on any tablet. $599 for 32GB and Wi-Fi and goes all the way up to 256GB of storage. Apple made a lot of fun about old PCs and how every Windows user could use an iPad Pro as a replacement. According to statistics, iPad sales have been subsequently only time will tell if the iPad Pro will actually boost those numbers up or not. 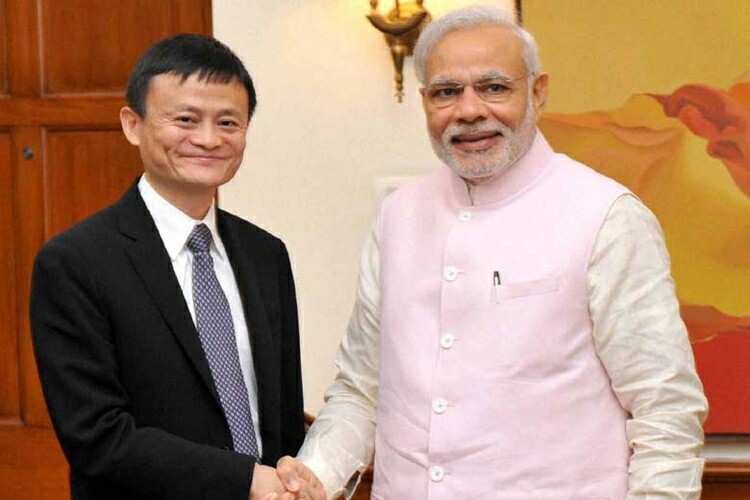 Rumors have it that the Chinese eCommerce Alibaba is in talks with Tata Sons to expand their business in India. The Chinese eCommerce is looking for a joint venture partnership with Tata Sons which will help it to cover areas such as logistics, offline stores etc. something which the Tata franchise is already good at. It may take up 2 quarters for the deal to be finalized so until then hold your horses. It’s a great time to be alive. We’re living in the era of self-driving cars and balloons that give us internet access. Add one more to that list today. The day isn’t far when your pizza will be delivered by a robot. Domino’s has announced that it will trial a battery-driven autonomous robot to deliver pizza in the capital of New Zealand, Wellington. 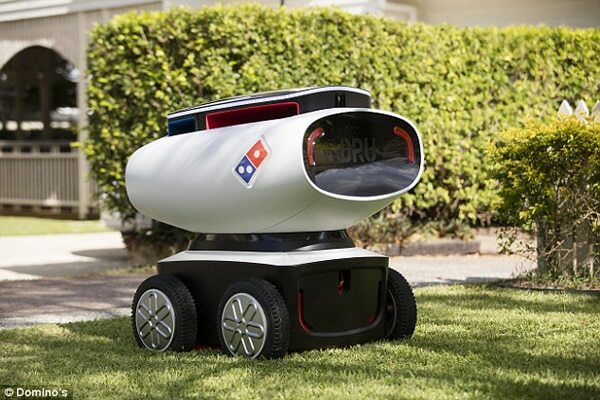 It’s being called DRU (Domino’s Robotic Unit), the robot was developed in Australia and is capable of completing deliveries within a 20 mile radius on a single charge. It is capable of housing 10 pizzas and the customers are given an access code to the compartment on the purchase. I will simply never understand (probably) why are so many tech companies hating human beings more and more and doing their best to replace them with robots, instead of just giving them jobs. Whatever was wrong with a real person delivering the pizza I wonder? The technology was supposed to make life EASIER for humanity, not harder. This way, by robots taking away people’s jobs. It’s actually making life much, much harder. If you see it that way then every innovation has an adverse affect on humanity. You’re probably looking at ways in which technology is stealing away jobs by making everything autonomous but I see it as increasing the standards of living of people, increasing the mental capabilities of humans, opening new doors towards research and ultimately creating better, intelligent and more “non menial” jobs. Won’t you like it if your delivery boy earned some extra bucks and had a higher living standard by being a programmer or a technician rather than being a delivery boy? The news provided in you website is truly very reliable and also very time-bound. I am impressed by the article quality and also by the way it is delivered to your viewers and the impact it creates from other competitors is very commendable. Keep up this good web page. The best. In future pizza delivery boy will be a dream job. :p LOL. Really very awesome post thanks for share. It is very use full for mainly a computer operator. Great blog but I want to say new technology has some pros and cons like it make life easier as well as so lazy. Technology has made our lives easier. And still, there is a lot more to change! I am planning to buy my first iPhone. I am confused between iPhone 5se and iPhone 6. 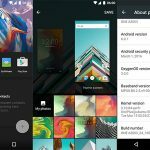 Can you recommend me which one the phones would be good for me. Price is not a issue. Nice and informative post. Thanks for sharing with us.